I’ve got four terrific book picks for you today. One funny, one sad, all gorgeous. Let’s start with the sad one. It’s called The Dead Bird by Margaret Wise Brown (yes, the same author as Goodnight Moon). You may already be familiar with the story, because it’s been around for a very long time. But this is a re-issue with new illustrations by award-winning artist, Christian Robinson. Some friends happen upon a dead bird in the park. They carefully bury it, cover it with flowers, and sing songs to send it on it’s way. 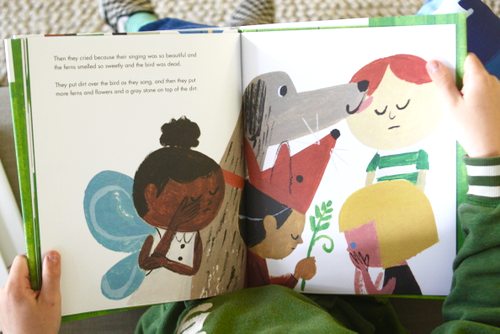 This sweet story had our June weeping — weeping for a pretend bird that was already dead when it was introduced in the pages of the book. I mention that as a demonstration that the author really excels at telling the story from a child’s point of view. I know it seems like an odd subject for a picture book, but I find it to be a really sweet, matter-of-fact introduction to death and the rituals we have around death. 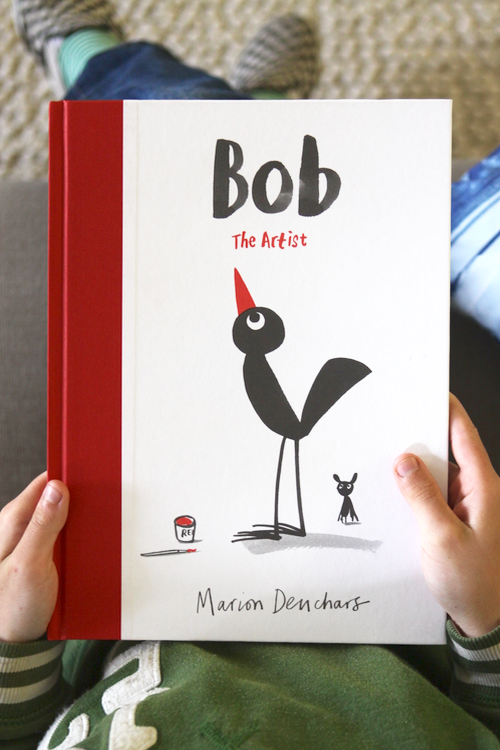 Next, Bob the Artist, by Marion Deuchars. Bob’s legs aren’t quite like everyone else’s. The teasing really gets to him. So he decides to change himself to fit in. 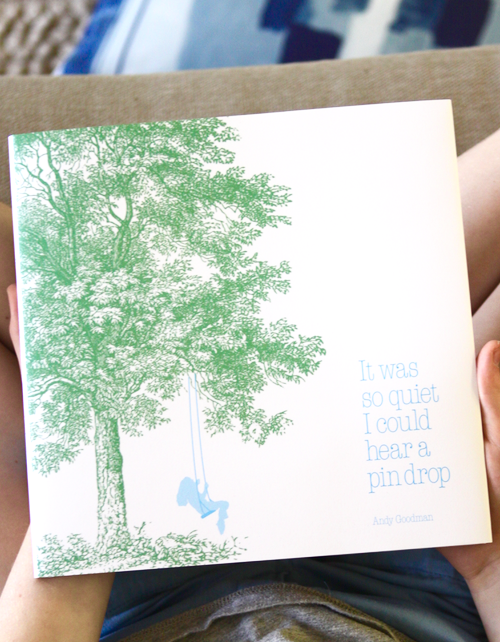 Our third book today is called It Was So Quiet I Could Hear a Pin Drop, by Andy Goodman. It’s a beautiful book with simple, fresh illustrations that are a mix of modern shapes, silhouettes, and antique engravings. This book is all about sounds. Each page offers up a description of a specific noise that you kids will want to mimic or imagine. 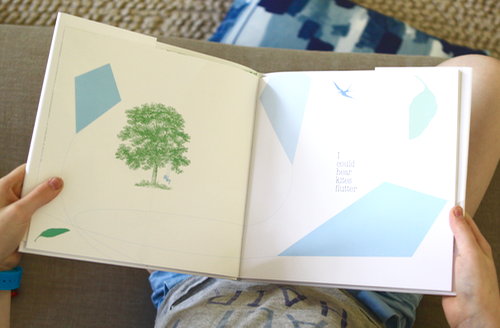 It’s a fun book to look at — lots of white space and just a few elements per page, which makes every detail stand out. Lastly, are you kids obsessed with the new live action Jungle Book movie? We saw it as a family and quite enjoyed it. 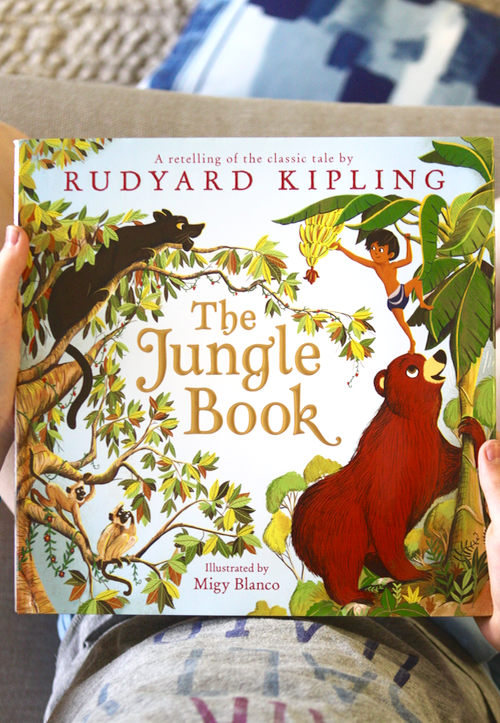 If you’ve read Rudyard Kipling’s original Jungle Book, then you already know the movie doesn’t exactly follow the book. The character names are the same, but the story line is different. 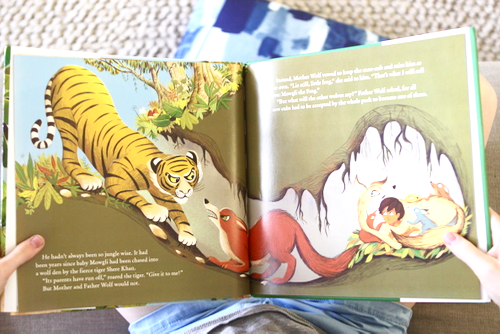 And that’s the same for this picture book, The Jungle Book, illustrated by Migy Blanco. It’s a re-telling of Rudyard Kipling’s classic, which means it strays from the movie. I would recommend it to someone who wants to introduce their child to the real story before the child is ready to tackle the 200-page original herself. 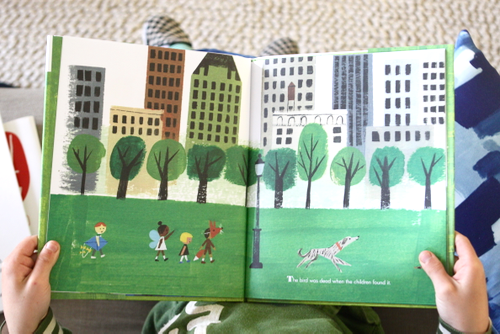 Also, the illustrations are really endearing! How about you? What are you reading to your kids these days? 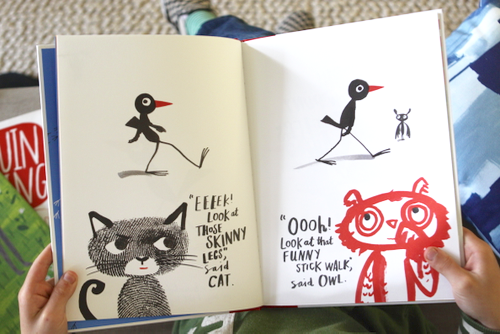 Any gorgeous/clever/funny/interesting picture books crossed your path lately? I always love to read what you recommend. It is about an old french guy who goes in a famous French cycle race and wins. It is a delightful story and one I am sure you will appreciate. Thanks for the recommendations Gabrielle. I just read SECRET TREE FORT by Brianne Farley. It’s about two sisters-one who wants to sit and read and one who wants her sister to stop reading and come play with her. She invents a secret tree fort to entice her sister to come play. 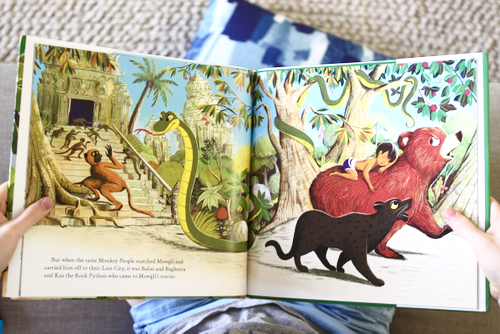 The illustrations are awesome and the idea of a secret tree fort is so magical and quintessential to childhood. Not to mention the perfect capture of a lovely but realistic sister relationship. I loved it. 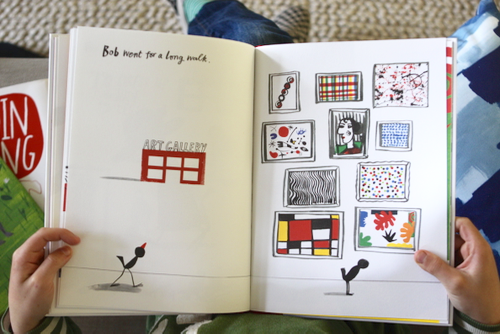 Bob the Artist’s plot reminds me of a book I had as a child that I loved so much I passed it along to my daughter, who also loved it – Donkey-Donkey by Roger Duvoisin. 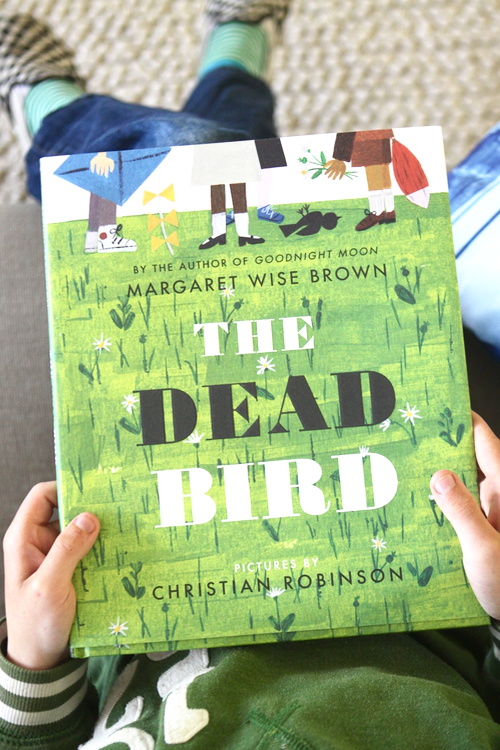 We just read “The Dead Bird” today and it was very sweet. My 6 year old daughter enjoyed it very much. Thank you for the recommendations!